The Royal Armouries’ collection originates from the storehouses of the Office of the Ordnance, a department that was created to supply and store weaponry for the Army and Navy. 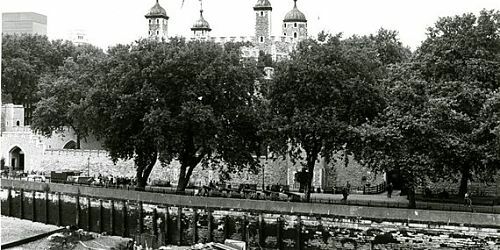 The Ordnance had workshops and storehouses based at the Tower of London, and for centuries some of these workshops were on the Tower Wharf. In 1986, Royal Armouries commissioned an archaeological dig on the foreshore to find evidence of these workshops and also prove that the foreshore was an important archaeological site. Furthermore, by the mid-1980s many people were becoming concerned about treasure-hunters and others digging on the foreshore and believed there should be tighter regulation to control who could dig. Consequently, it was felt that evidence was needed to prove the area was stratified and could provide important insight to the history of the Tower site. The 1986 dig lasted for a fortnight, and produced over 700 small finds. Most of these finds were metal and could be identified as gun furniture, providing evidence of the manufacturing and proofing processes that took place on the wharf. Furthermore, despite fighting the mud and tide, it was proved that the foreshore was stratified, and the majority of finds dated from the 18th century, when the workshops would have been at their height of production for the French Wars. Recently, Royal Armouries has re-visited this collection with the aim of cataloguing and storing the objects to today’s best practice standards. Taking advice from the Museum of London Archaeological Centre, and working with experienced volunteers, we have developed a greater understanding of this dig and its significance in telling to story of the Ordnance workshops, as well as its part in the development of regulation on digging on the Tower foreshore. You can read more about the volunteer archiving project here. 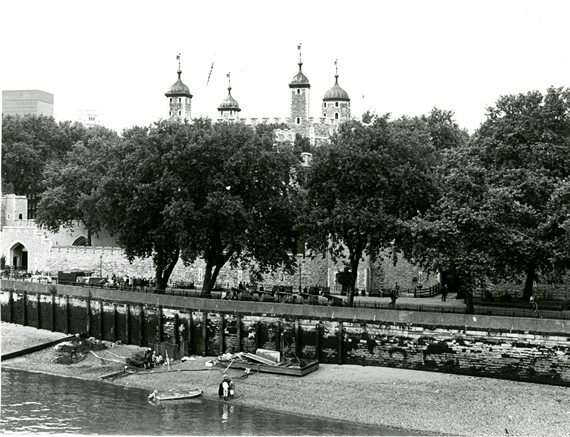 If you’d like to know more about the collection, the dig or the volunteer project we will be at the Tower of London Open Foreshore Weekend (19th & 20th July) with a few objects and would love to talk to you.